Introduce children to the basic symbols of music. Large, clear illustrations teach common symbols and terminology while creating a useful and colourful classroom display. Discovery Guide included filled with information and suggested teaching activities. 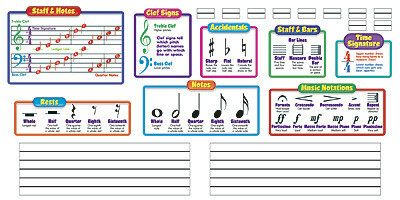 View other music resources here.